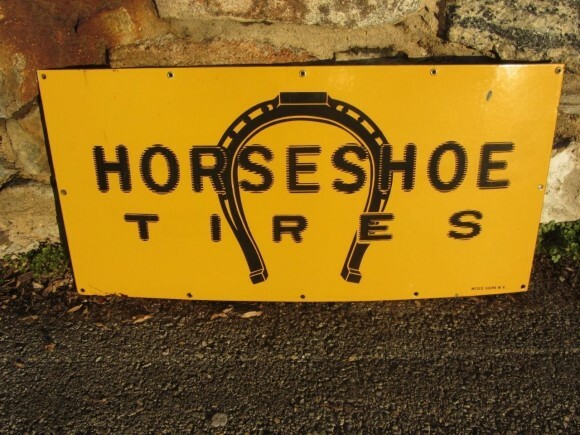 This Horseshoe Tires sign is fairly simple. The sign is 30″ by 15″. The sign is yellow and black and has mounting holes around the edges.